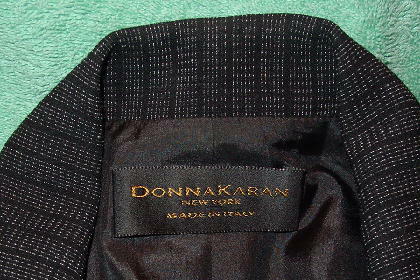 This 84% wool, 9% nylon, and 7% polyester jacket is by Donna Karan. It has long sleeves with 3 black buttons on each and was made in Italy. There is a black background with a mini white dash pattern. 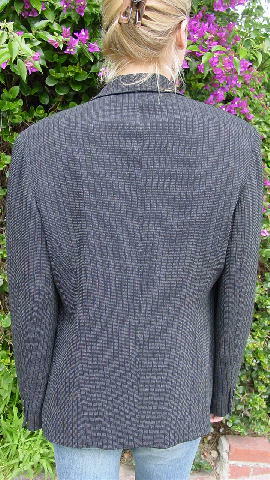 It has long lapels, a left breast pocket. and three lower pockets with one button closures, one on the left and two on the right. It has a nice soft black lining and shoulder pads.